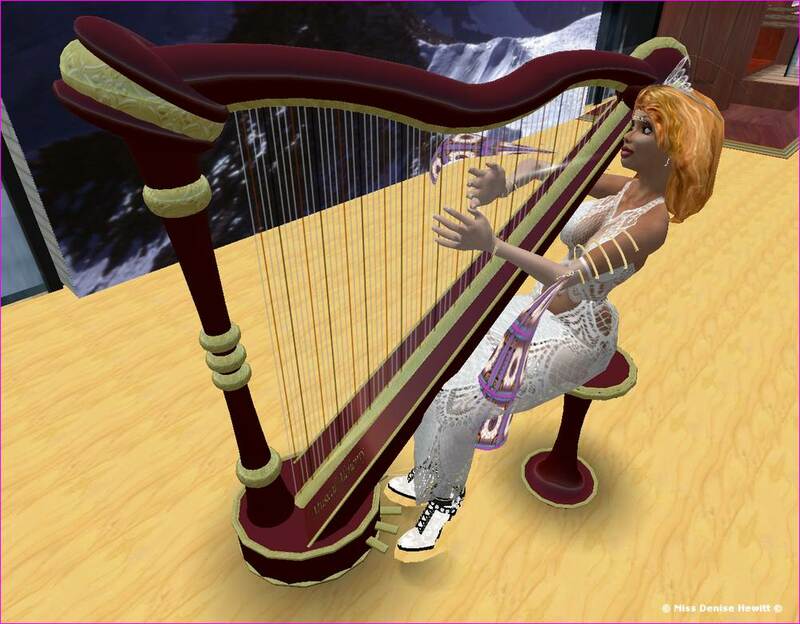 SECOND LIFE : Miss-Denise launches her Virtual Music Studio! Well Guys and Girls! On 24th July I finally achieved my 100th Month On-Line, so to celebrate I've opened by "Virtual Music Studio" in the famous "SECOND-LIFE" Virtual World. I've already acquired a virtual Grand Piano, Pipe Organ and Harpsichord, as well as a few more orchestral instruments - which are often playable if you click and touch the notes and allow them to animate. But of course the greatest fun is dressing up one's feminine Avatar in the most fabulous fashions from the on-line Boutiques all over the SL World! So come and join me in SECOND LIFE where we can IM, Chat, disco all night, go shopping and much more! My SecondLife Avatar is : MissDenise Demina - so let's make friends & IM in SL! Click on the Image, and you'll have the option to TELEPORT directly to the Second-Life WebSite - www.secondlife.com - You'll need to register first - but this is free of charge unless you want to start building your own virtual music studio, T-Girlie Style Penthouse or Scottish Castle! Give it a go - Now! Click on the image for Miss-Denise's - New - SECONDLIFE GALLERY!! !